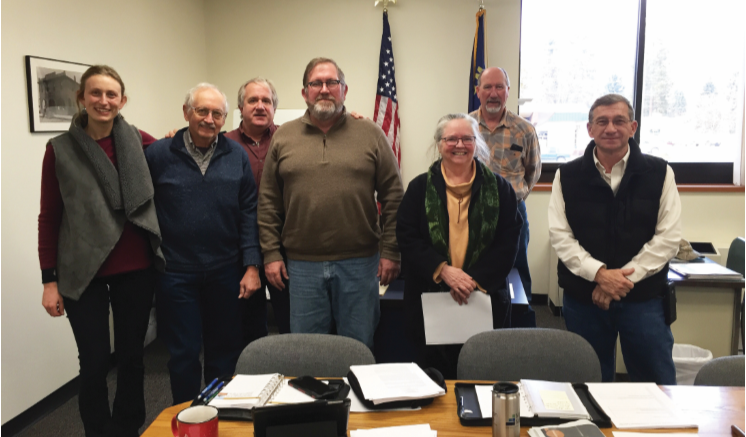 The Lincoln County Commissioners met with the board of directors for the Kootenai Forest Stakeholder Coalition during a November 29 public meeting. After decades of working together informally, the groups finalized and signed a Memorandum of Agreement to enhance communication and coordination between Lincoln County and the Stakeholders. The Kootenai Forest Stakeholders Coalition are an organized and self-initiated coalition whose membership includes a diverse range of citizens and groups deeply invested in the future of the Kootenai National Forest. 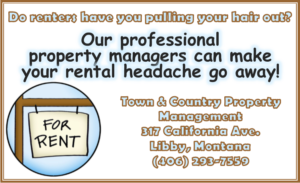 The coalition is comprised of loggers, mill owners, conservationists, business owners, local governments, educators, fire management personnel, and citizens at large. The Stakeholders collective goal is to demonstrate the ability of a diverse group to find common ground by implementing projects on natural resource issues including community wildfire protection, forest and watershed restoration, public safety, forest health, wilderness, recreation, and community economic vitality. Stakeholder recommendations lead to projects on Forest Service land that have earned support from everyone at the table. 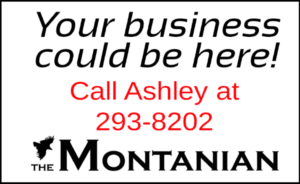 At the meeting, the commissioners expressed optimism for working with the Stakeholders, the Kootenai National Forest, and the Montana Department of Natural Resources and Conservation to provide resources to help move collaborative-approved forest management projects forward. “After this past fire season, I’m looking forward to working together to implement the Good Neighbor Authority to reduce fuels near Lincoln County communities,” Commissioner Mark Peck said. Everyone around the table agreed. This effort will be one of the first the county and Stakeholders will work on under the MOA. Tim Dougherty, agency resource manager for Idaho Forest Group’s three mills in Northern Idaho, who sits on the executive board of the Stakeholders, said “It is essential for success in collaboration efforts to have good partnerships with local government entities”. County Forester, Ed Levert, said that the partnership between the county and the Stakeholders is of critical importance, and is a model for how people in western counties can come together on difficult issues. “It shows what a good bunch of folks we have around the table,” Levert said. For more information on the Kootenai Forest Stakeholders Coalition, visit www.kootenaifuture.org. 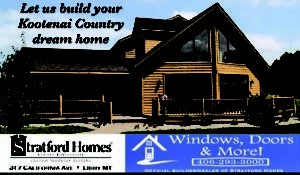 Or call Ed Levert – 406-2932847, Robyn King – 406-295-4936, or Tim Dougherty – 208-290-6562. McCully added that a possible road from the Lincoln County Mental Health building property is very possible, and is gaining signatures of support now. Lincoln County Port Authority also wishes to retain all water rights. Bob Petrusha asked who would be taking responsibility for the Children’s pond area, and wondered if the motocross arena would be included in the site. Oliphant replied that she would like to see a task force formed with the city, county, and the Port Authority all sharing responsibility, and that the motocross facility is privately owned and maintained. Petrusha added that the county is looking at hiring an administrator to oversee the entire project. Everyone agreed that the recreational possibilities for this parcel are almost limitless, Gary Armstrong suggested that the land on the opposite north and east sides of Libby creek should be included, with possible horse and bike trails. Petrusha said he started on the park board 22 years ago with avid interest in creating new trails and connecting the existing trail system, which now crosses the Kootenai to connect the mill site and highway 2 to J Neils park.